Installing the tawk.to extension for Magento 1.x is easy. 1. You will need to have an active tawk.to account to generate the Widget embed code which you will need later. 2. Get the install key from Magento Connect and copy it. 4. Paste the key you got from Magento Connect and click Install. 5. Once the installation is successfully verified, click Proceed. 6. Once you’ve completed the installation, a new menu called Tawk.to widget will appear. 7. To add the Widget to your site, go to Tawk.to Widget -> Choose Widget where you will see all Widgets from your connected property and you can set one Widget per store. 8. It is recommended to clean your magento cache. If you have set up Magento so that each language has it’s own store, you can use the tawk.to Widget to set up multi language options for your site. Just like each language needs it’s own store view in Magento, each language requires it’s own Widget for tawk.to. Remember, one Property can have multiple Widgets. Go to the tawk.to dashboard. Click Admin, then in the assets column on the right click the green +Add button to add another Widget. Translate it and add it to your desired languages store view. It’s that simple. More detailed instructions can be found here. That’s it. You’re done. The Widget will now appear on all pages of your Magento 1 site! You can install the plugin manually by downloading the source package from GitHub. 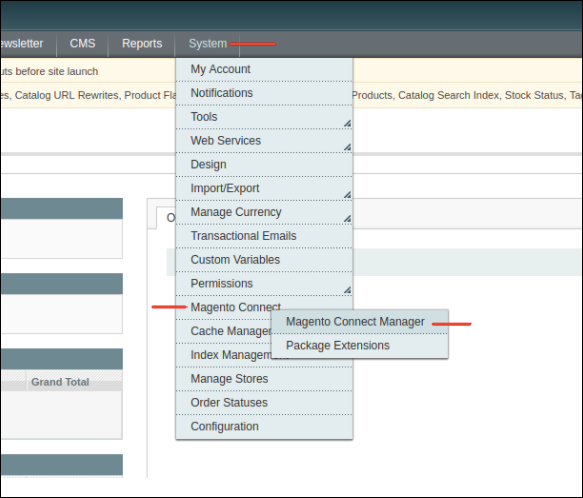 Clear your magento cache and your done! Now, add this block in the correct layout.xml file and be sure it is be placed right before the closing </body> tag. Clean your magento cache and you done!